No car? No problem. 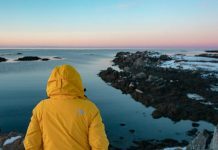 Even if you can’t drive, you can still catch the best of Iceland, from the city sights of Reykjavík to the Northern Lights, Golden Circle, and South Coast! Iceland’s synonymous with a few things: the Northern Lights, gorgeous scenery, and some seriously epic road trips. In a country bursting with natural wonders that’ll top any bucket list, you’ve simply got to get on the road to explore. But what if you don’t have your driving licence, or if like me, you’re still shaky with a steering wheel? You don’t need a licence for these sick views! It’s actually completely possible to see Iceland without a car — and we’re not just talking about Reykjavík city. The gorgeous Golden Circle route, and the iconic sights along the South Coast are easily doable with day trips out of the city. 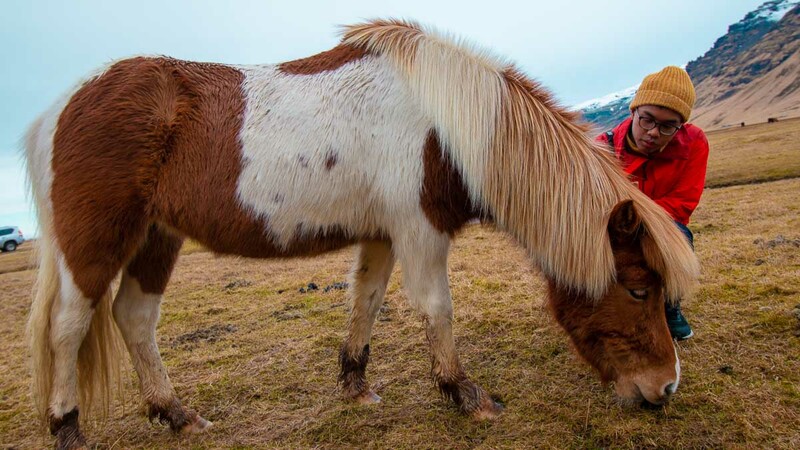 You’ll even be able to walk on a glacier and pet adorable Icelandic horses! Okay, I know what you’re thinking: Not another overpriced tour. But the truth is, there are some tours which are more cost-effective than driving, as you save on petrol and get discounted entrance and activity fees. You also won’t waste time collecting and returning your vehicle or struggling with navigation, so you can see more sights in fewer days — ultimately saving money on accommodation! So here’s the best way to catch Iceland’s must-dos and must-sees — no driver’s licence needed. Connectivity: Our 4G pocket WiFi (~S$9/day) gave us unlimited internet access, connecting up to five devices with battery life lasting through each day. 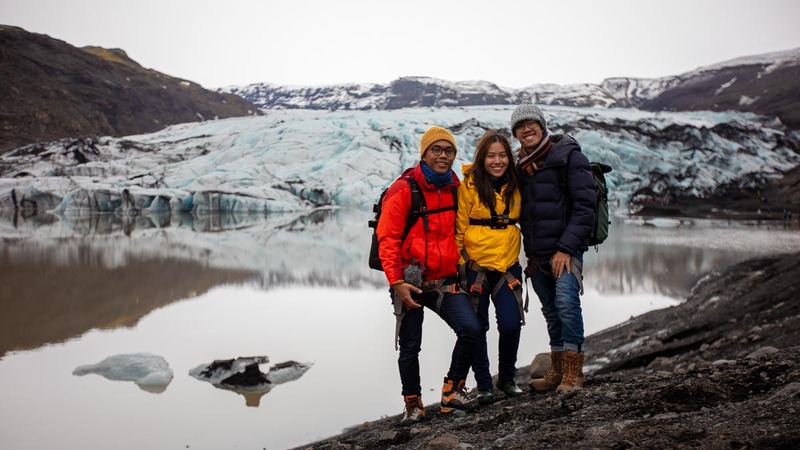 We received it before leaving Singapore, so we could immediately explore Iceland upon touchdown! If you need to make calls, get a 4G SIM Card (~S$63 for 14 days) for 120 minutes of talk time and 10GB of data. 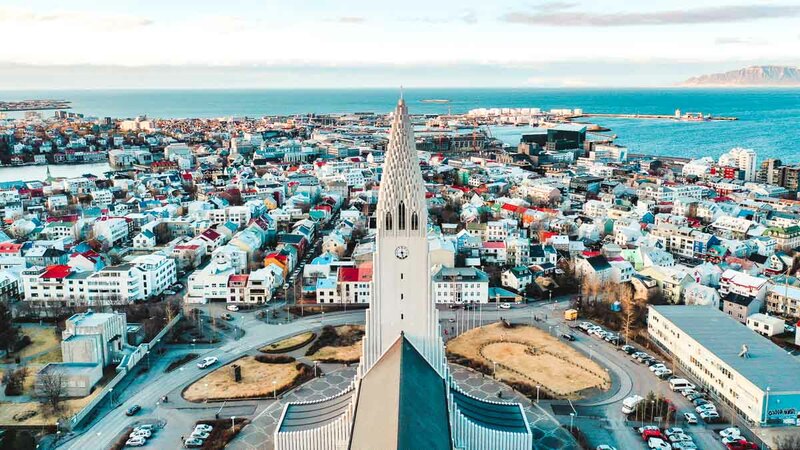 Getting Around Iceland: The most convenient and cost-effective travel option between Keflavík International Airport and Reykjavík is via economy transfer (~S$23.00). We recommend the SmartBus option (additional ~S$11) with pickup and drop off at popular bus stops and hotels in the city, at all hours. 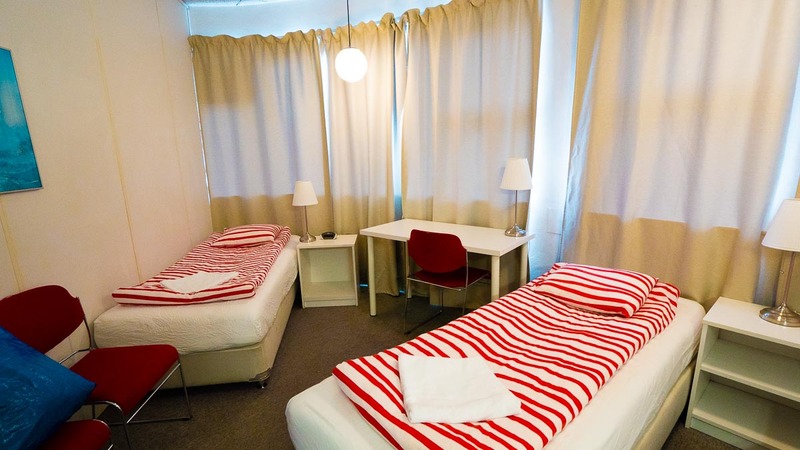 Accommodation in Iceland: Our Reykjavík accommodation, 101 Guesthouse (~S$81/night for two pax) was within walking distance of the main city attractions. The location was also perfect for tours, with the pickup point a mere two-minute walk away. We also enjoyed the kitchen and dining area, in-room sink, and daily towel change — better than most hostels! We didn’t travel far for this view — just a two minute walk outside our accommodation! Eating Out in Iceland: Iceland is notoriously expensive, so we only ate at iconic eateries which are also value-for-money. Other times, we prepared meals with groceries from budget supermarkets like Bónus. Check out more budget tips here! 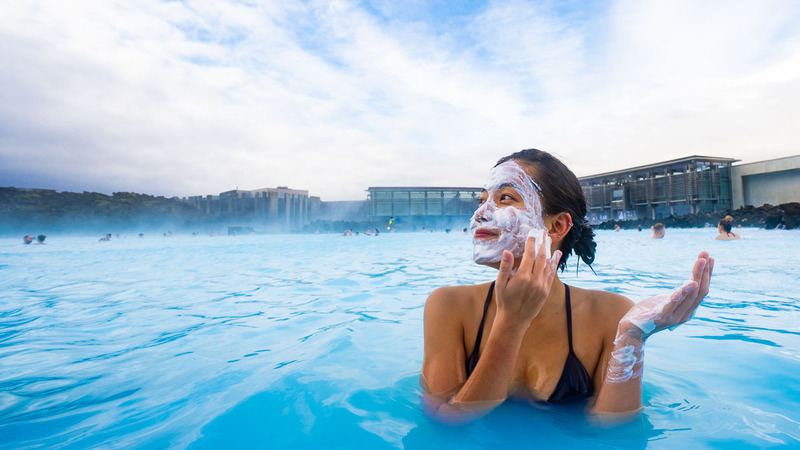 With its abundance of lava fields, geothermal hot springs are a dime-a-dozen in Iceland. 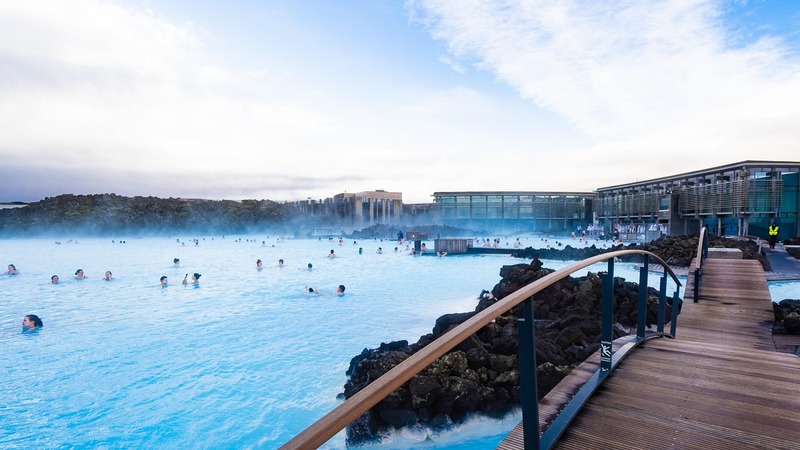 And what better way to unwind after a flight than at the iconic Blue Lagoon! Before getting in, start with a refreshing scrub with the special soap and conditioner in the showers — it’s mandatory to keep the lagoon clean. Leave some conditioner in your hair to prevent dryness from the sulphur-rich water! We got the comfort admission (the cheapest option at €88, ~S$134.87), which came with a towel and free drink at the in-pool bar. With options like fresh fruit smoothies and sparkling wines to sip while soaking, we truly felt like royalty. Touristy as it is, I loved the Blue Lagoon, with its infinity pool and surroundings that are just how I’d imagine heaven — only including saunas, scenic caves and bridges (actually, still heaven). It’s too easy to spend an entire afternoon at the lagoon, which is quite possible since the entrance fee lets you stay till closing. The only caveat is that you’ll have to book your entry beforehand. Don’t worry about luggage — you can store them at ISK550 (~S$6.35) per pax. Opening Hours: Varies by month; check timings here. How to get there: Being near the airport, save time by visiting the Blue Lagoon right after touchdown. 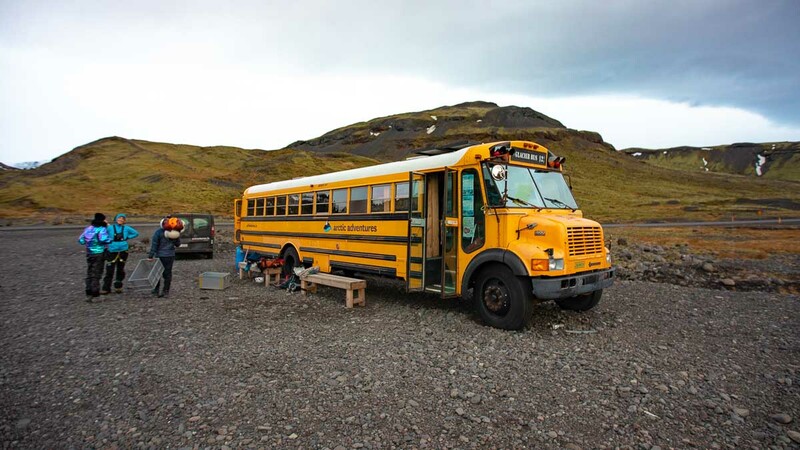 Take the 30-min bus transfer (~S$30.05) from Keflavík Airport to Blue Lagoon, and from Blue Lagoon to Reykjavík. *Pro-tip: Set aside an hour for showering and changing before and after entering the lagoon — no easy feat when you’re grappling with layers of winter wear in a packed room. 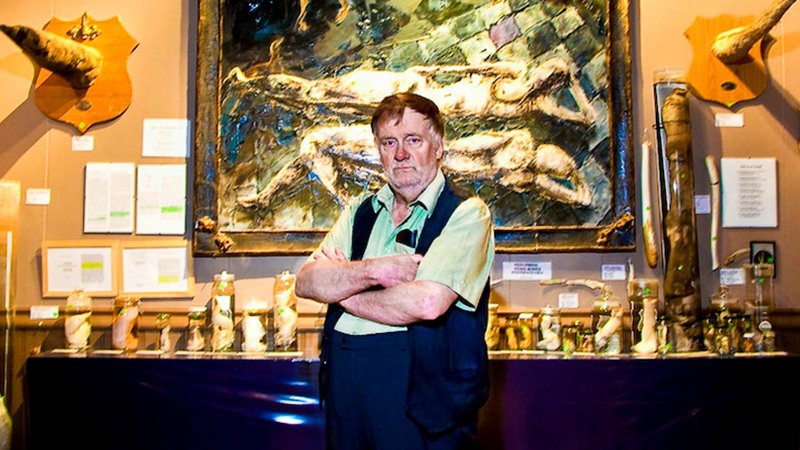 Icelanders are known for their offbeat sense of humour, and you’ll get a hard dose of that at the Icelandic Phallological Museum. A hit amongst tourists and locals alike, the museum boasts the largest collection of, er, members in one area. You’ll examine over 200 penises from land and sea mammals in Iceland and around the world, including whales, seals, a rogue polar bear, and even some donated from generous… homo sapiens. If you’re weird enough to have wondered whether an elf’s or a merman’s is bigger, you’ll get your answer here (don’t ask how the museum managed to nick them). Whether you own one yourself or not, the phallological museum is a fun and surprisingly educational way to spend an hour in the city — and a great story for the folks back home. How to get there: The museum is on the street across Bus stop 10 (Hlemmur), or a 1-min walk from 101 Guesthouse. *Pro-tip: Don’t forget to take the free audio tour, with humorous and educational narration by the founder himself! 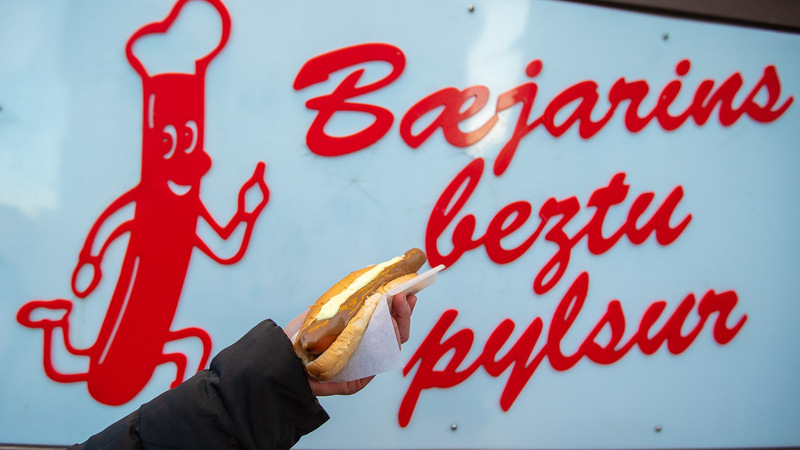 After staring at wieners, munch on grilled ones at Bæjarins Beztu Pylsur. Don’t be fooled by the humble street stall — it’s well-deserving of its name meaning ‘Best Hot Dog’, and attracts snaking queues during mealtimes. Get yours with everything for full flavour — soft buns topped with a juicy lamb-beef-pork sausage and a delicious mix of ketchup, remoulade, sweet mustard, crispy onions and fresh raw onion. It’s the ultimate comfort food on a cold day, and better yet, one of the cheapest meals in the city! Start the day wandering around Reykjavík’s most famous attractions. Begin at Perlan, a unique glass dome resting on six hot water tanks. 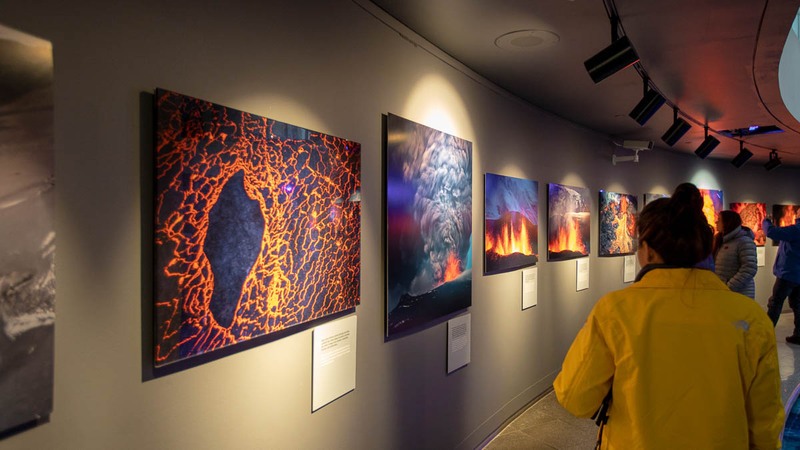 Inside, you’ll find Wonders of Iceland (from ISK3,900, ~S$45), featuring a planetarium, interactive exhibitions, and an immersive Forces of Nature show, where you’ll experience being in the middle of volcanic eruptions and earthquakes. Otherwise, head up to the Perlan Observation Deck (ISK890, ~S$10.29) for a bird’s-eye view of Reykjavík. Entrance Fee: From ISK890 (~S$10.29) for Observation Deck entrance (included in Wonders of Iceland ticket). Next, head to Hallgrímskirkja. 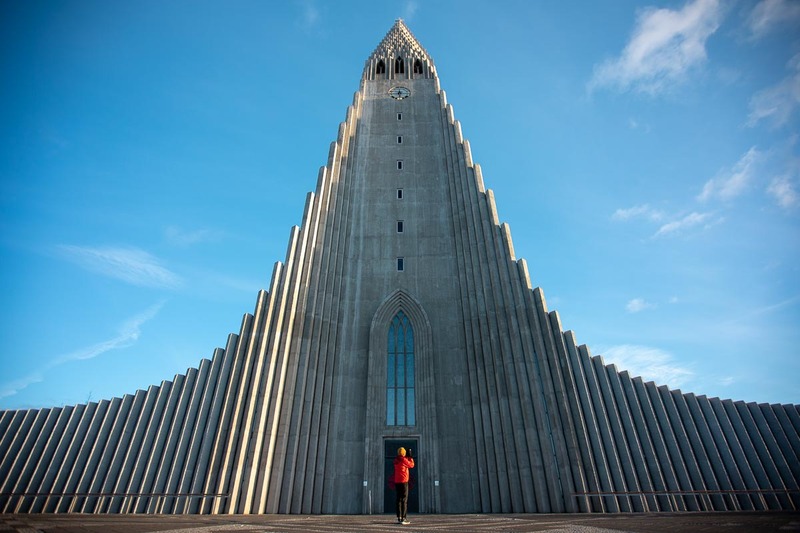 You can’t miss it as you wander around the city — at 73m, it’s the largest church in Iceland and one of its tallest buildings. 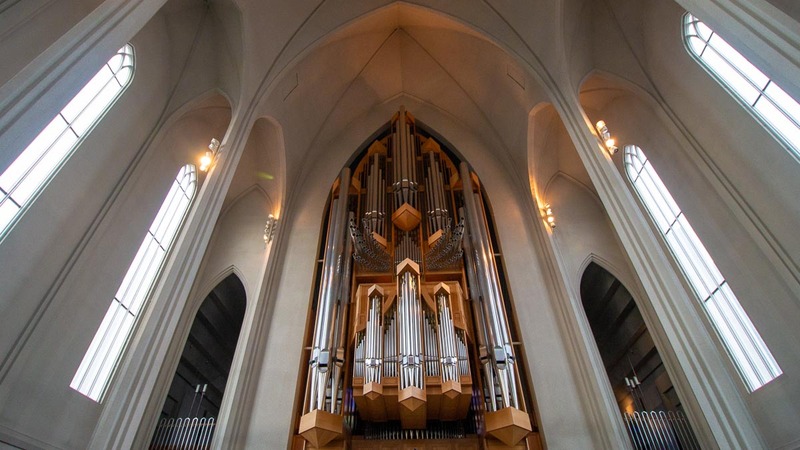 Step inside to admire the lovely architecture (inspired by lava rocks) and magnificent organ with over 5,000 pipes. 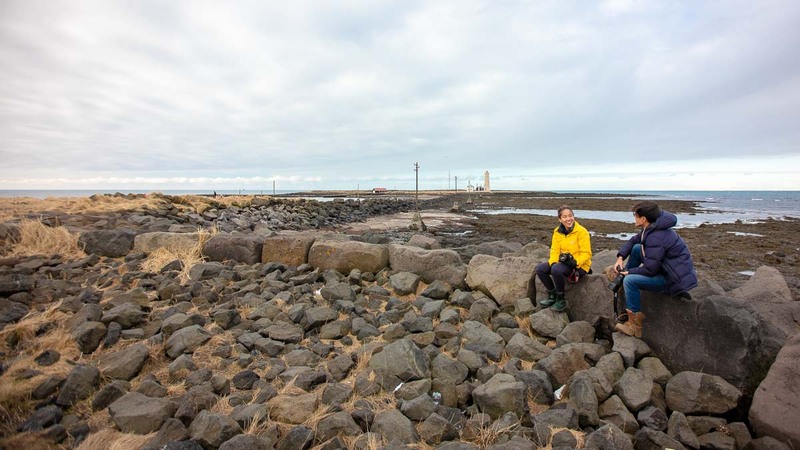 Also visit the tower (ISK1,000, ~S$11.56) for a 360° view of Reykjavík and the surrounding ocean and mountains. Opening Hours: 9AM – 5PM (Oct – Apr), 9AM – 9PM (May – Sep). Check tower opening timings here. Immerse yourself in a groundbreaking historical moment at Hofdi House, world-famous as the summit meeting-place of Reagan and Gorbachev in 1986, which officially began the end of the Cold War. 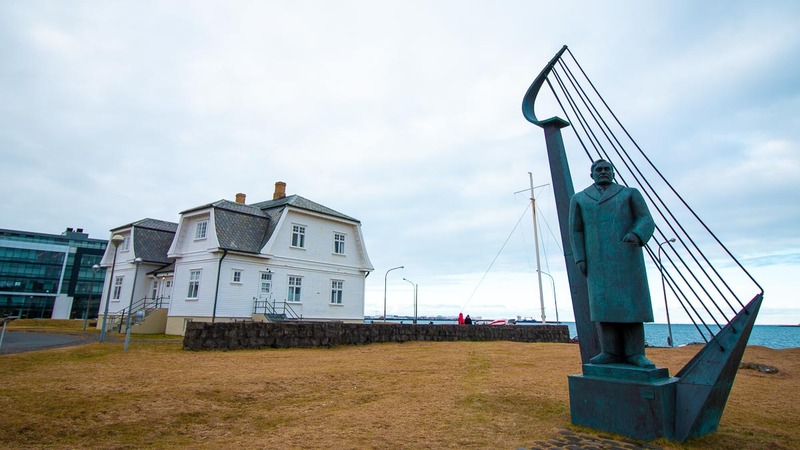 Originally home to the French Consul in Iceland, other high-profile guests of Hofdi House include Winston Churchill, the Queen of England and even a ghost known as ‘The White Lady’. While you cannot enter (it’s currently owned and used by the city of Reykjavík), it’s still cool to admire one of the world’s most iconic houses, along the coast. 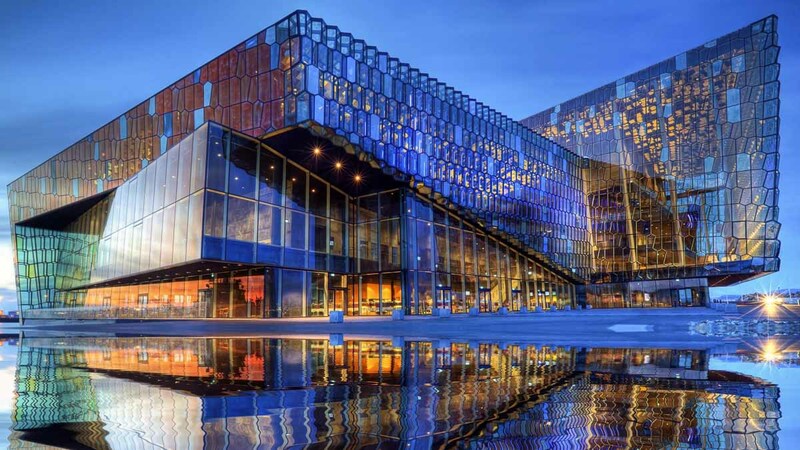 Lastly, admire one of Iceland’s more futuristic designs at the Harpa concert hall, winner of the 2013 European Union Prize for Contemporary Architecture. Opened in 2011, Harpa hosts major musical events including those by the Iceland Symphony Orchestra and The Icelandic Opera. The stunning glass structures bend and reflect light beautifully, and is especially lovely in the evening, when the surrounding Old Harbour lights up. 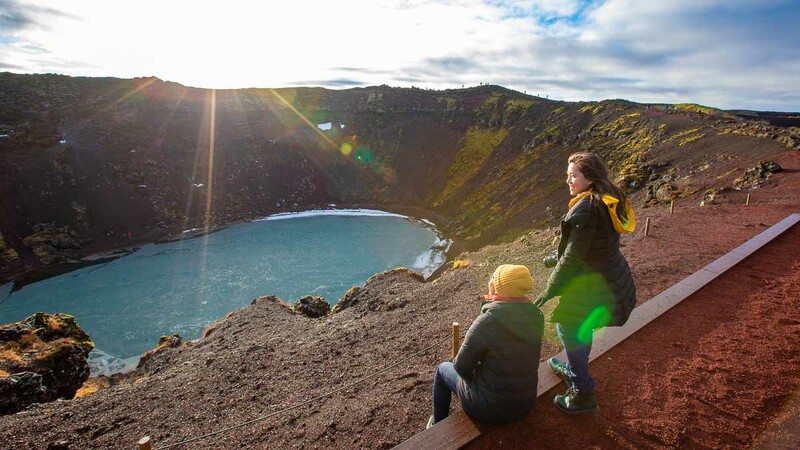 If you’d like to learn more about each attraction, as well as interesting tidbits on Icelandic history, take the Reykjavík Grand Excursion Tour (~S$262). Do note that time at each attraction is short (around 30 min), which is enough for attractions like Hofdi House but not for the Wonders of Iceland exhibition at Perlan. However, the three-hour tour is great if you’re short on time and want a quick introduction of Reykjavík’s highlights. Plus, you won’t have to brave long walks in the cold between each attraction! 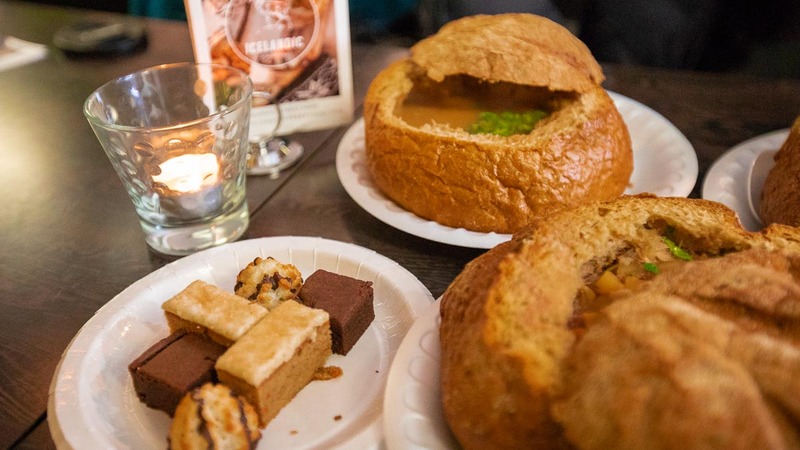 Food in Iceland is ridiculously expensive, but Iceland Street Food offers free soup refills, free drinks and free dessert! If I could live in this place, I would. With the motto ‘Nobody leaves hungry’, this cosy restaurant functions on the premise that if the food is cheap and good, customers will return (and we did, twice). 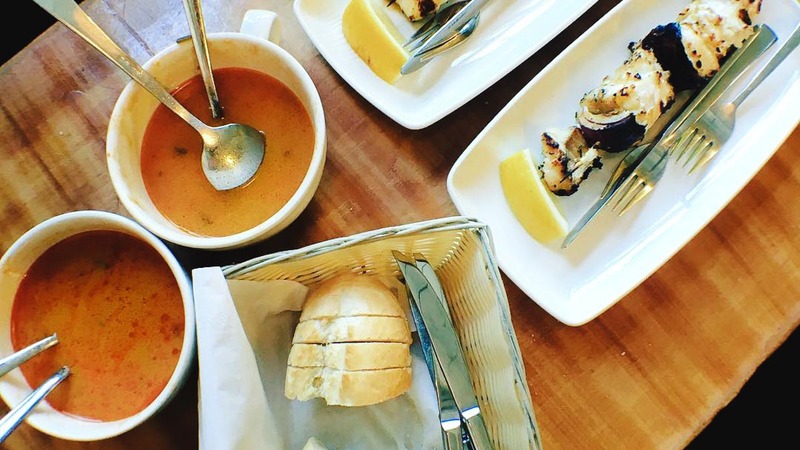 Try a different soup with each refill — they’re always generously piled with ingredients! We especially loved the creamy shellfish soup packed with scallop and shrimp, and the lamb soup with hearty veggies and sliced lamb. You can also help yourself to complimentary coffee and tea, and sweet treats like mini brownies and coconut macaroons. Contrary to popular belief, seeing the Northern Lights isn’t a given — it requires proper planning and luck. You’ll need clear skies, strong aurora action, and of course, total darkness. The best way to see the Northern Lights without a car is through a guided lights-chasing tour out of the city. 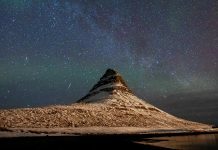 With all the light pollution in Reykjavík, there’s hardly a chance we would’ve caught the lights otherwise! 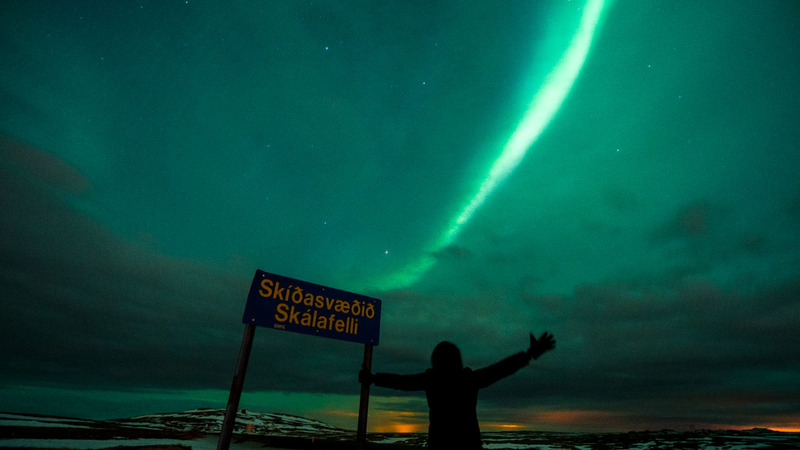 Our local guide, Nicola, was an experienced Northern Lights-chaser, who chose secluded viewing spots based on live forecasts and insider knowledge. When we finally caught them on our third stop, Nicola began playing the violin to ABBA’s Dancing Queen — in celebration of the lights which were indeed dancing vividly across the sky! 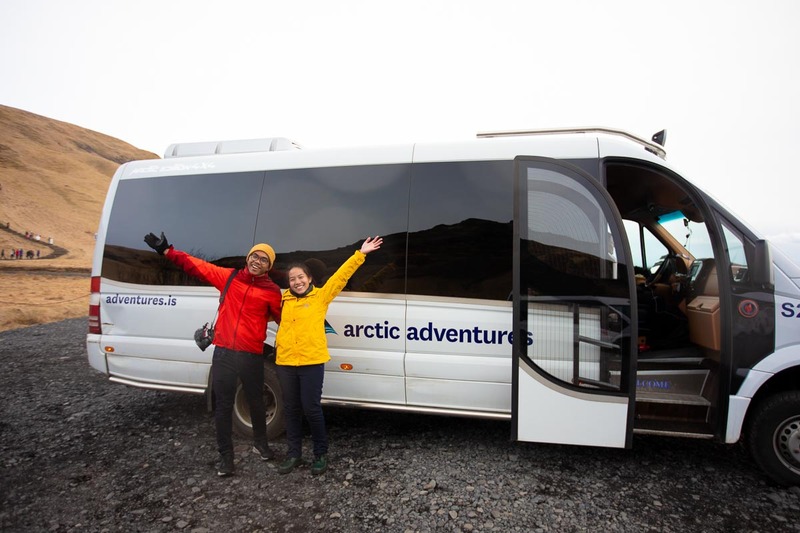 The tour also comes with complimentary hot chocolate and Icelandic pastries, which are truly a godsend when you’re shivering in the Icelandic cold. You’re also allowed a free rebook if the lights aren’t visible that night, so you can keep trying till you catch them all! *Pro-tip: Forget the Androids and iPhones — you’ll need a camera with long exposure to capture the lights. 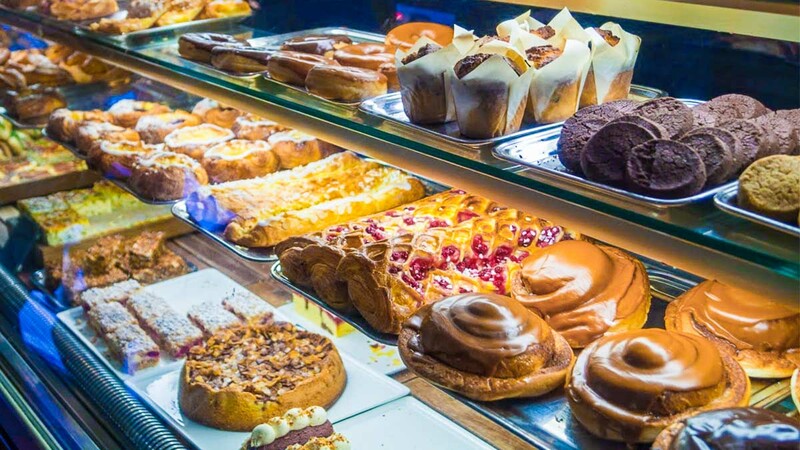 One of Iceland’s most beloved institutions, Sandholt is a fourth-generation family bakery known for its yummy cuppas and the best pastries in Reykjavík. Some popular options are their cinnamon bun (ISK375, ~S$4.33), cafè latte (ISK540, ~S$6.24), and hot chocolate (ISK550, ~S$6.35). 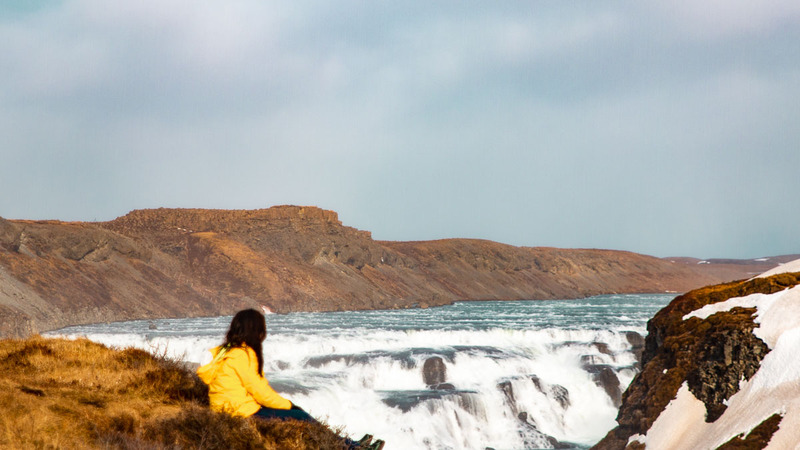 The shores surrounding Reykjavík are home to numerous species of whales, dolphins, and harbour porpoises. We couldn’t miss the chance to spot some, so we booked ourselves on a whale-watching tour on Faxaflói Bay! 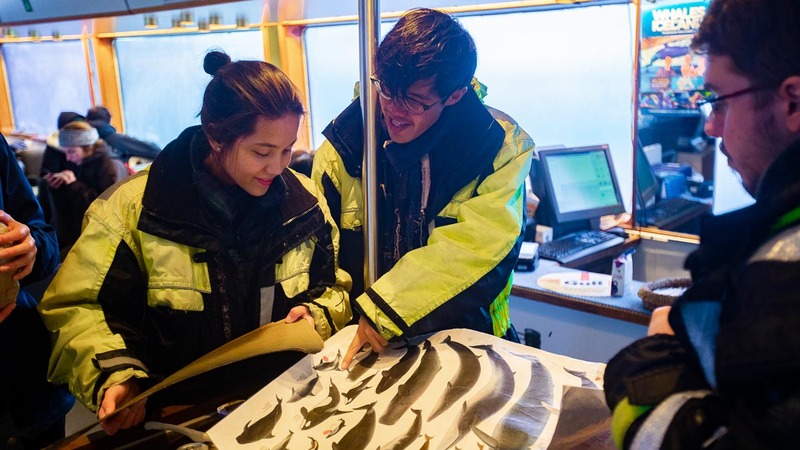 Our experienced guide taught us the basics of whale-watching and the characteristics of the creatures we spotted: minke whales, humpback whales, tooth whales, porpoises, and dolphins! We also got to touch real whale bones and learn about the ethics of eating whale meat. 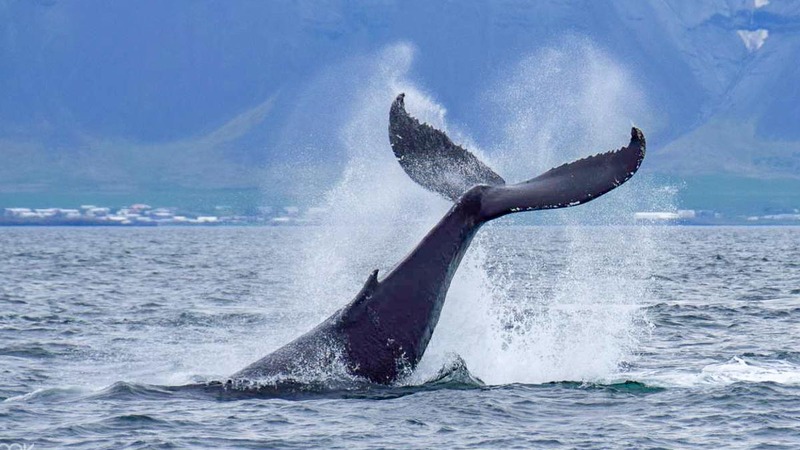 Fun fact: Contrary to popular belief, Icelanders are actually against whaling. In fact, tourists are discouraged from eating most whale species (except the common minke whale) as their numbers are depleting. *Pro-tip: If you’re prone to seasickness, grab some pills at the cruise booth or aboard the cruise itself — they’re free! Reykjavík-natives can’t stop raving about fischer, to the point that their local magazine even named it the ‘Best Goddamn Store’. The brainchild of Jónsi from Icelandic band Sigur Rós, fischer encapsulates the quirky-yet-sophisticated Nordic spirit. Everything from the rustic store design and eco-friendly items, down to the poetic product descriptions, were clearly crafted with a ton of heart. Displayed almost museum-like, you’ll find gems like Fischer no23 (ISK13,800, ~S$159.45), a scent that’s described as ‘Smoke in the air and tarred telephone poles’, tea blends (ISK3,200, ~S$37) and prints based on Icelandic folk medicine (ISK11,100, ~S$128). 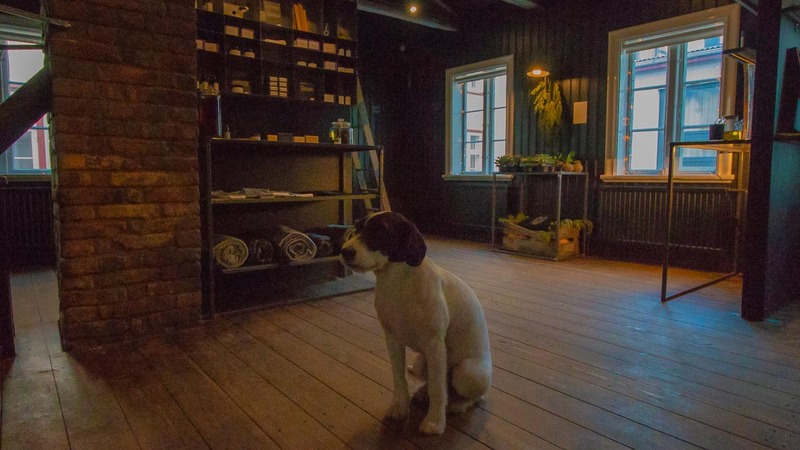 While purchasing is pricey, you can’t miss this “sensory, highly aesthetic shopping adventure”, and meeting the adorable store dog, Atlas. Opening Hours: 12PM – 6PM (Mon – Sat), closed on Sundays. While Iceland’s clear seas attract all kinds of fish, you’re hard-pressed to find good seafood for cheap. The one exception: Sægreifinn! 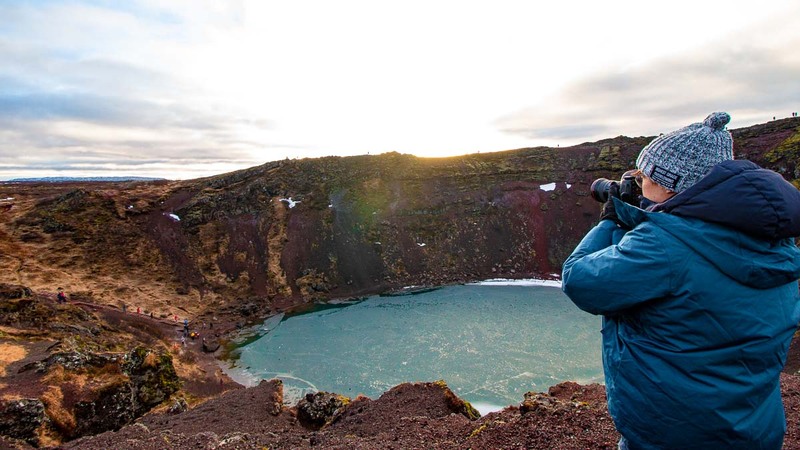 You’ve not been to Iceland without visiting the Golden Circle, a popular route with beautiful natural attractions. We were entertained throughout our full-day tour, as our guide fed us with interesting facts, and as a former professional opera singer, even treated us to mini performances! Our first stop was the Kerid Crater, a beautiful viewpoint with admission included in the tour (ISK400, ~S$4.62). Next, soak in the Secret Lagoon, a less-crowded, quaint alternative to the Blue Lagoon. We liked that our tour included our admission fee (ISK3,000, ~S$34.62), lockers, and towels (ISK700, ~S$8.08), so we could spend the entire two hours just showering, changing, and relaxing! 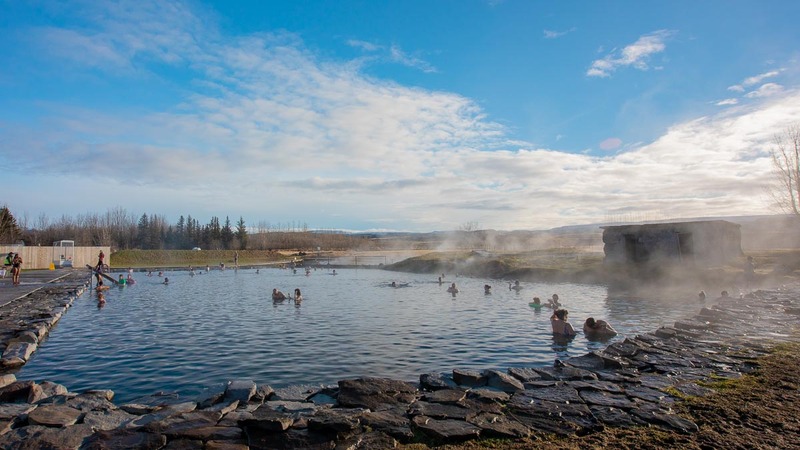 We then headed to one of Iceland’s most iconic sights: the Geysir Hot Spring Area! 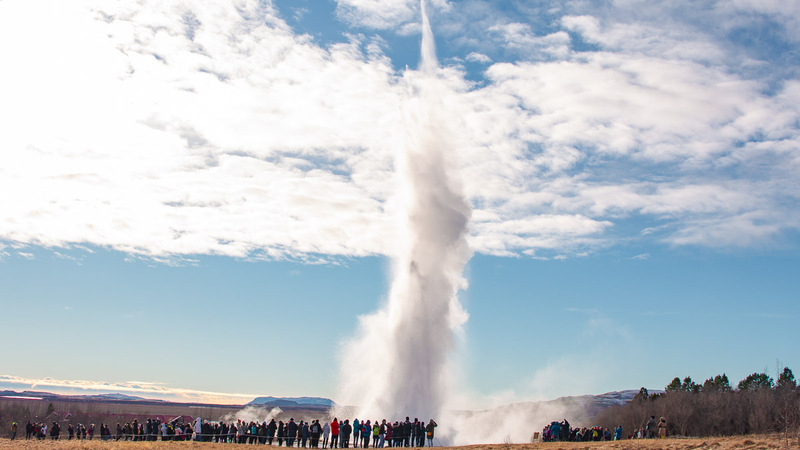 It’s home to the highly-active geyser, Strokkur, which ejects hot water 100ft into the sky every five minutes. This was also a lunch stop, with cafeterias selling soups (ISK1,550, ~S$17.88 each), and sandwiches from ISK790 (~S$9.12). If you’re on a budget, pack lunch instead. 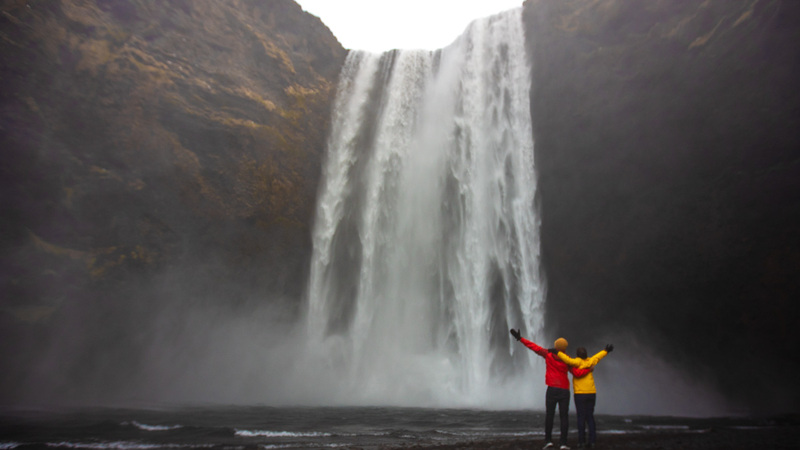 Of course, what’s an Iceland tour without seeing one of its famous waterfalls? The 32m Gullfoss is nothing short of majestic, and so powerful that there were once plans to use it to generate electricity. Our last stop was Thingvellir National Park, one of the most historically-significant attractions in Iceland. A UNESCO World Heritage Site, Thingvellir (meaning ‘the fields of parliament’), was the spot where Icelanders declared independence from Denmark and their first president — making it the birthplace of the world’s longest running parliament, the Alþingi, which continues to operate in Reykjavík today. 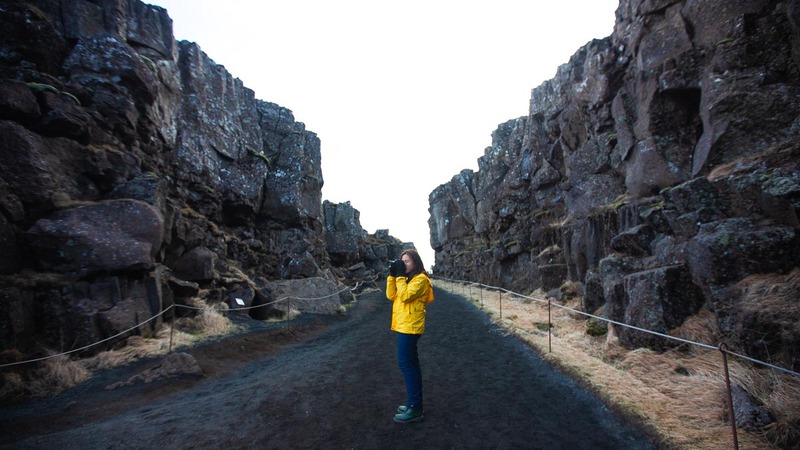 Thingvellir is also home to geological wonders like the Mid-Atlantic Rift, where you can walk between the edges of the North American and Eurasian tectonic plates. There’s also the stunning Lake Thingvallavatn, the largest natural lake in Iceland. *Pro-tip: Don’t forget to pack swimwear for the Secret Lagoon! Visit the stunning South Coast, home to breathtaking waterfalls and volcanoes. 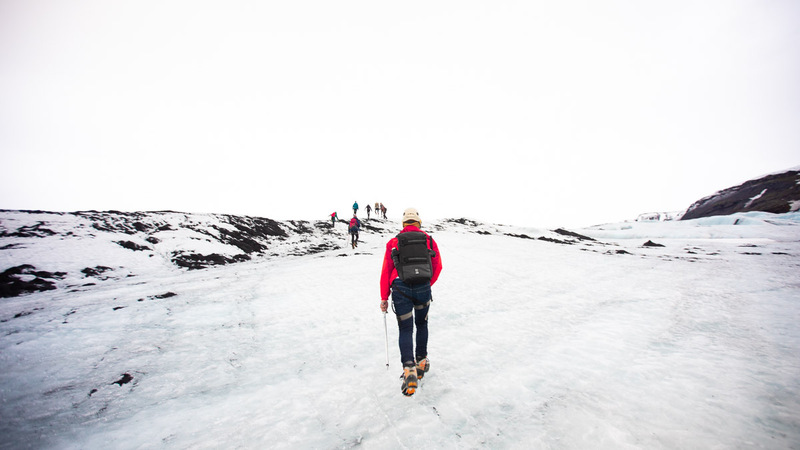 We took a South Coast tour that included a glacier walk, an absolute must-do in Iceland! 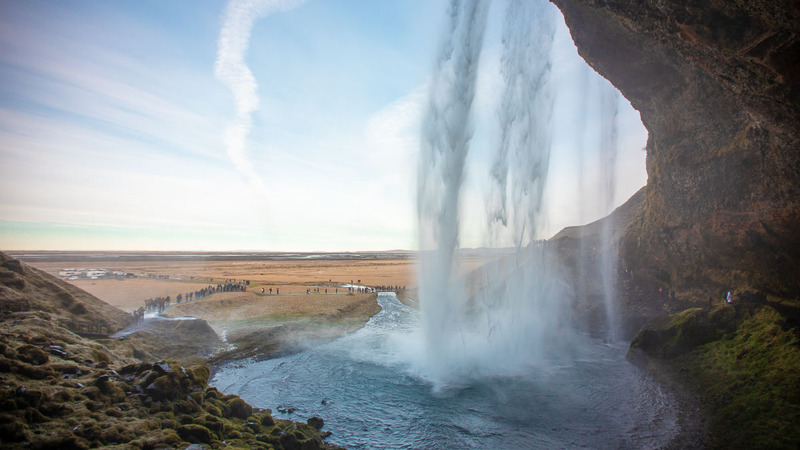 Begin at Seljalandsfoss Waterfall, which you can actually walk around and behind (prepare to get wet)! If you’re visiting on your own, do note that you’ll have to pay a ISK700 (~S$8) parking fee. *Pro-tip: Ascend and descend Seljalandsfoss via the right staircase, as the left tends to get extremely slippery. 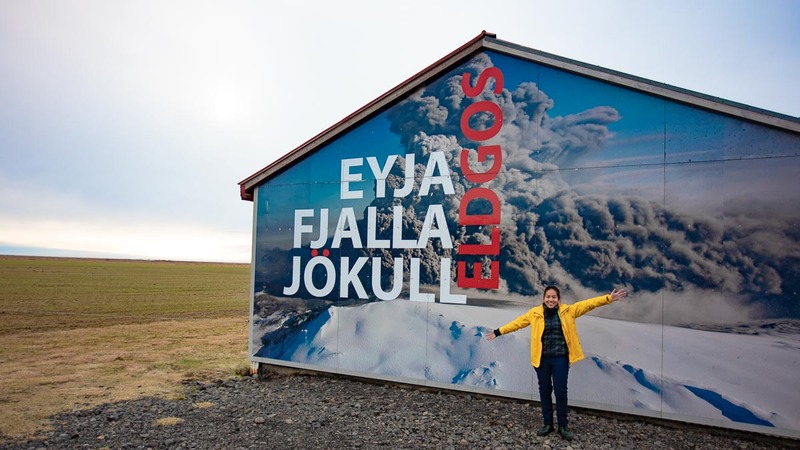 Our second stop was Eyjafjallajökull, the volcano which famously erupted in 2010, disrupting flights across Europe. Outside the visitor centre, we saw a photo of the volcano on its first day of eruption, taken by a farmer who lives there! Skógafoss was our second waterfall of the trip, and this time, we could walk right up to its edge for amazing photo opportunities. 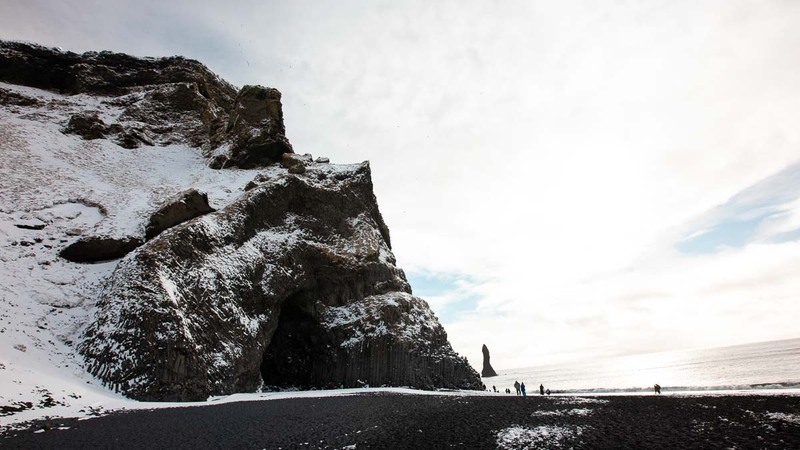 We then explored the iconic Reynisfjara Black Sand Beach, with dark basalt columns overlooking the North Atlantic sea. 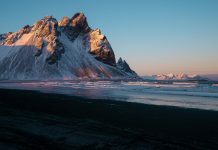 While beautiful, do note that the waves here are extremely dangerous and can sweep you into the ice-cold sea without warning, so you should keep a considerable distance. You can also grab lunch at the Black Sand Beach Restaurant (from ISK1,590, ~S$18.35 for mains), or eat a packed lunch along the beach. And of course, the day’s highlight — a two hour hike on Sólheimajökull, meaning ‘Sun House Glacier’. Even gearing up felt like an adventure, as we entered an abandoned school bus to collect crampons, ice picks, and helmets. Our guide was friendly and experienced, making sure everyone was comfortable and safe as we trudged up 250m of rock-solid ice. It’s a slow, casual hike that doesn’t require any prior training, but you do need to watch your step and listen carefully to the guide’s instructions. It’s an indescribable feeling standing atop the vast, blinding white ice, knowing that the glacier we’re on will melt in the next 200 years. We also got to peer into a moulin (‘glacier mill’), and sample the freshest water on earth — straight from the glacier itself! 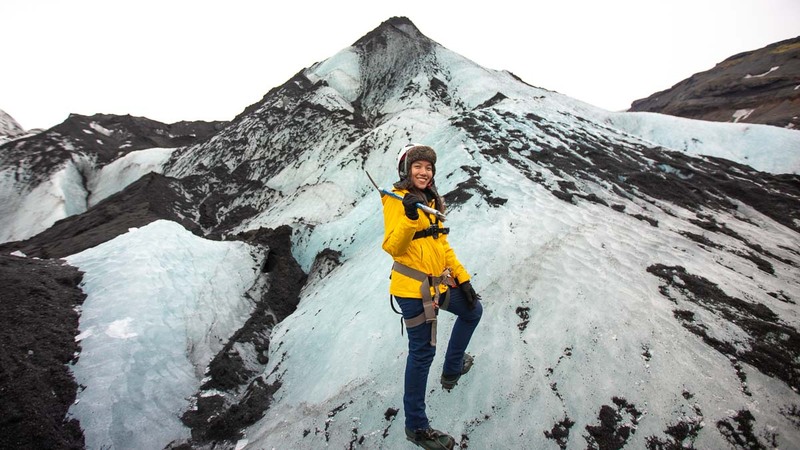 *Pro-tip: Bring a beanie to wear below your helmet during the glacier walk, as the helmets can get sweaty. 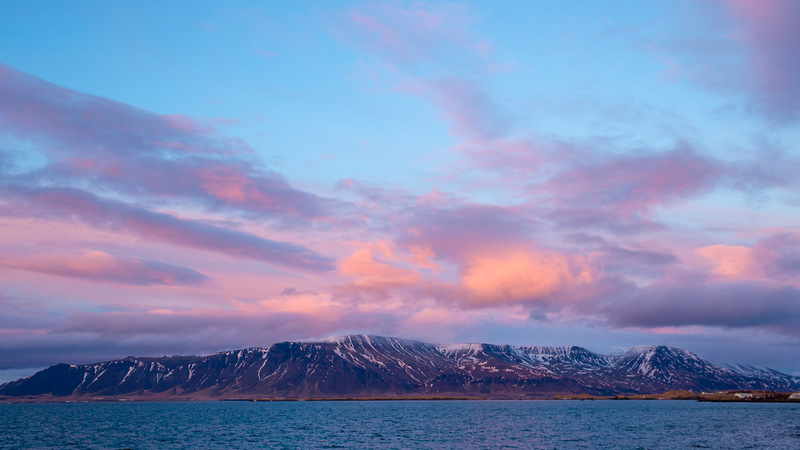 To see Iceland without driving, there’s no better way than with guided tours. Not only will you cover Iceland’s must-sees, you’ll also learn about their background and get first-hand insights on Icelandic life. 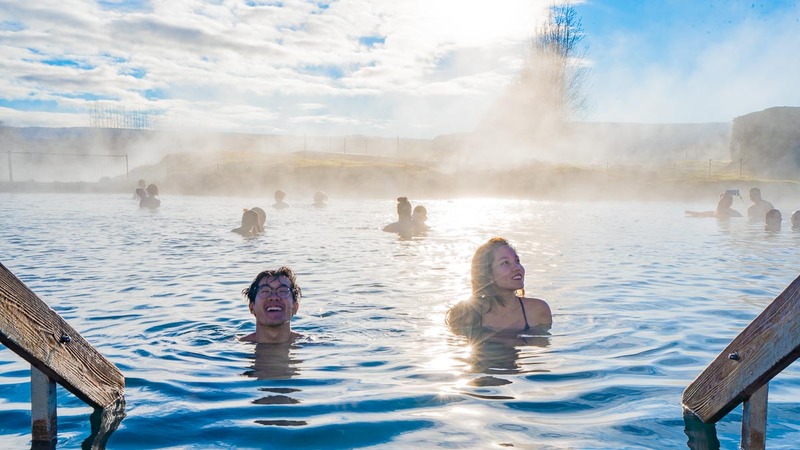 During our tours, we heard tons of interesting stories, including why Icelandic lamb tastes different from others, the strange connection between Icelandic horses and birth control pills, and what the Blue Lagoon looked like before the tourist boom! 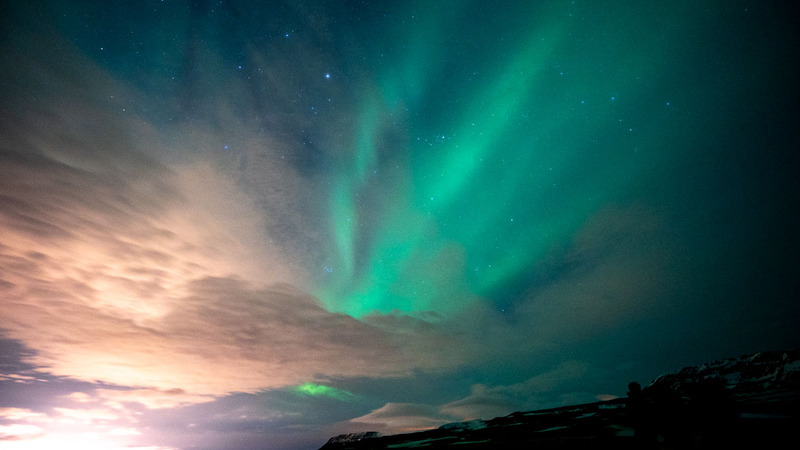 Being guided by a local also means extra perks — like visiting the best but unknown spots to view the Northern Lights, or spontaneous stops at private farms to play with Icelandic horses. 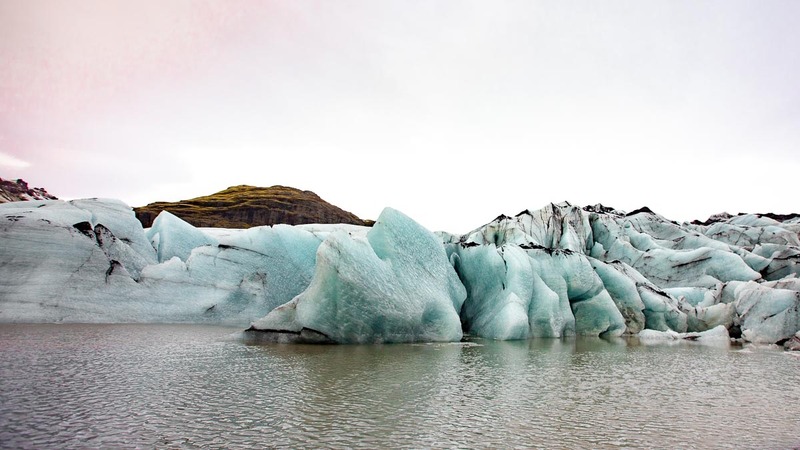 Another cool thing about tours is that admission fees and activities are all included — so no hassle queueing for Secret Lagoon tickets, finding your own glacier guides at Sólheimajökull, or settling parking fees each step of the way. And of course, the best part — napping in a comfy bus between locations! 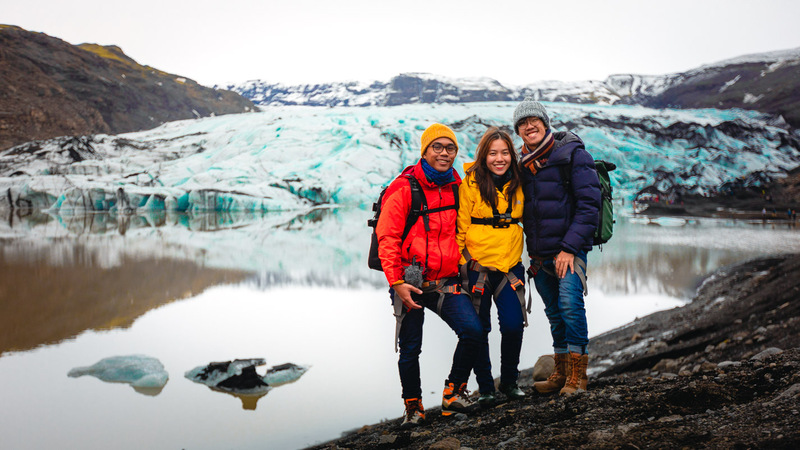 So put on your warmest clothes and leave the driver’s license at home as you explore the best that Iceland has to offer! First time booking with Klook? Use promo code <TTIKLOOK> for S$5 off your first purchase! What are you most excited to see in Iceland? Let us know in the comments! The Bagan sunrise is equally gorgeous from below. But would you wake up at 4:30AM to find the best spot? ☀️ • • Travellers in Bagan can wake as early as 4:30AM to catch the sunrise. (BTW it only happens 2 hours later!) They set off on their motorbikes, hunting for hidden pagodas that offer that best spot. If done right, a stunning view of hot air balloons rising with the sun is the reward.